the 25th anniversary of Toms' first peal rung at Eaton Socon, Bedfordshire on the 1st January 1991. Last updated Saturday, 2 January 2016 at 14:47:08. First submitted Saturday, 2 January 2016 at 14:42:31 by Thomas W Griffiths. 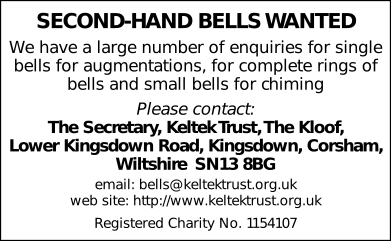 Sent for publication in The Ringing World on Friday, 8 January 2016 at 16:12:05, and printed in issue 5466, page 105. This performance has been viewed 836 times.